Day two of my trip to South Australia had us journeying through McLaren Vale on our way down the Fleurieu (don’t ask me how to pronounce it) peninsula. 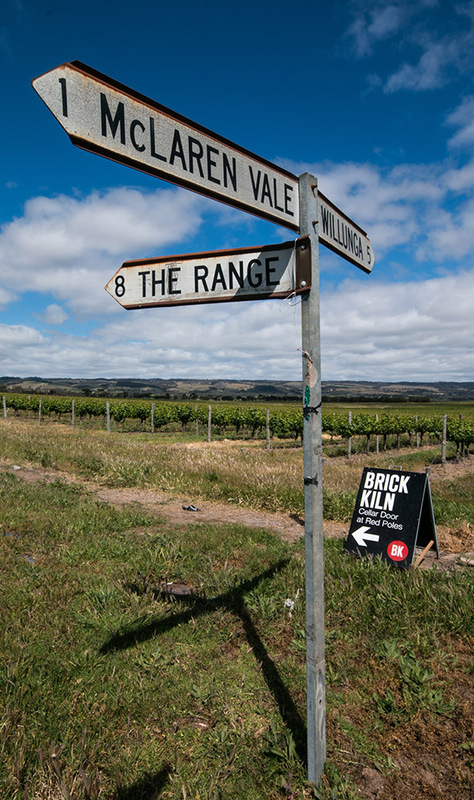 McLaren Vale is known for its wineries as is most of the surrounds of Adelaide. Reluctantly we were only passing through but managed to stop off at a winery or two and take some pictures along the way. Again we were accosted with a green landscape and rolling hills with grape vines as far as the eye could see. It is about 35 kilometres south of Adelaide. In the early days it mainly produced cereal crops but in 1938 John Reynell and Thomas Hardy (fresh out from Devon, England) grew the first grape vines. With its warm Mediterranean climate it was perfect for this. Hardy’s wines are now over 160 years old and in their 5th generation of winemakers. They lead a prestigious group of winemakers in this area. 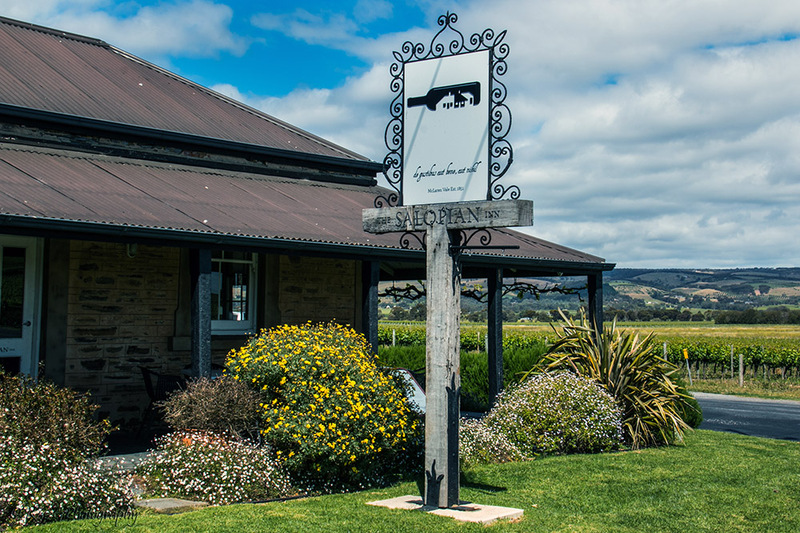 We spent a bit of time here investigating which wine we liked best but in the end there were so many and so little time I couldn’t name a particular one but I did buy a particularly nice tawny port from Rosemount Estate in McLaren Vale…yum! Thanks Mara, yes I liked the rusty car as well. Im sitting here with the air con on as its too hot outside and its not yet summer, sounds like we will have a hot sweaty one. I wish we could mix both temps up and get somewhere in the middle! Is it snowing there yet? I do like their Pinot’s! Me too! I don’t like the whites from there but the pinots yes and the muscat’s yes and the ports yes!…..
It’s stunning down there, isn’t it? Stunning photographs and such a pretty area. I like the rusty old ute in the field best, it’s so typically Australian! Me too Barb, I think its a Holden… it seems in South Australia when it stops working you just leave it where it died! These are such stunning images – makes me walk through them – wow! Stunning!! I like looking through the window and the tree lined path!! !